This Taro with Lup Cheong (Chinese Sausage) is also called Baked Taro Rice. Peel, rinse, and dice the taro, slightly thicker than half cm. Marinade for about 15 minutes. Rinse dried mushrooms, soak until soft. Discard tough stems. Squeeze excess water from mushrooms after rehydrated. Dice into similar size of taro. Rinse dried shrimp, soak until slightly soft. The ones I used is fairly small, so I let them sit in water for about 5 minutes only. Drain dry. Heat oil over medium heat for stir-frying, sauté shallot and dried shrimps until fragrant, followed by mushrooms and taro. Stir and turn constantly for about a minute. Then add about a quarter cup of water, cover. Let simmer for 1 to 2 minutes (prolonged simmering may render the taro too mushy) or until liquid is almost reduced. Rinse rice and cook it in cooker as usual. Toward the last 10 minutes of rice cooking, open lid and quickly spread all stir-fried ingredients flat on top of the rice. Cover again. 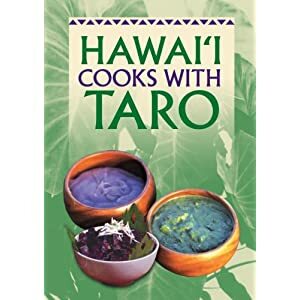 The sign of the right timing for adding taro is that the rice is slightly bubbling and looks wet with very little amount of water. Continue to cook rice until done. Dish up, garnish with spring onion and add soy sauce to taste.